Consumer, Building and Occupational Services (CBOS) helps consumers and businesses to understand their rights and responsibilities. We also help to resolve complaints, when you can’t resolve the issue with the trader. Providing as much information as you can with a complaint gives you the best chance of getting our help to resolve your complaint. force a business to compensate consumers or rectify a problem. You should contact the business and explain the issues you are having. You should also tell them what you would like to happen. Often a simple phone call or visit in person can fix the problem. Make sure you speak to a manager or someone who has the authority to address your issue. The business may need you to provide a ‘proof or purchase’, such as a receipt. They may discuss the problem with you to determine if it is a minor or major fault. This will help the business decide whether it is appropriate to offer a repair, replacement or refund. Write a letter of complaint to the seller or service provider. That way, the seller is aware of the problem and what you would like to happen. It also gives you a copy of your contact with the seller. As a guide, you can use this sample letter. If speaking and writing to the business or trader involved does not resolve your problem, you can contact us to seek help. if another organisation is more suitable to handle the matter.  if the business operates from Tasmania. Consider getting legal advice about what options are available to you. Your local Community Legal Centre, Legal Aid Office, or your lawyer could give you some advice. You may wish to take your matter to the civil court but you should make sure you get legal advice first. Legal action can be expensive and there is no guarantee you will be successful.